When Beyoncé jolted 100 million viewers back to Black power on Super Bowl Sunday, she was dancing with history. She was dancing for history. She danced with a fierce Black women dance troupe of black leather, black berets, swaying Afros, stomping Malcolm “X” formations, raised fists, posing with sign that boomed: “Justice 4 Mario Woods,” referring to the Black man killed by San Francisco police on December 2. Beyoncé’s unmistakable Black power salute to the Black Lives Matter movement did not just come during Super Bowl 50. It came on the 50th anniversary of Stokely Carmichael’s call for “Black power” during the stifling June heat of the Mississippi March Against Fear in 1966. Beyoncé’s performance came on the 50th anniversary of the formation of the Black Panther Party for Self Defense 40 miles up the road in Oakland in 1966. Huey P. Newton and Bobby Seale created this iconic Black power organization blocks from the bar where Alicia Garza first love-lettered “Black lives matter” on her Facebook three years ago. As much as Beyoncé danced with history, so did her detractors. These attacks on Beyoncé’s performance came on the 50th anniversary of the firestorm of bipartisan hostility to the call for Black power. It came on the 50th anniversary of the declaration of war on those young activists who turned away from civil rights to Black power in 1966. Giuliani’s attack came on the 50th anniversary of electoral opening of the racist backlash to civil rights and Black power, specifically Ronald Reagan’s win of the California governorship in 1966. Black power was as unimaginable to racists then as Black lives mattering is today. In 1966, there was nothing more democratic than saying the disempowered Black majority should rule majority Black counties and cities, should have Black power. But racists could only envision White supremacy or Black supremacy, and refused to exchange the former for the latter. In 2016, there is nothing more egalitarian than saying that Black lives should matter as much as other American lives — as much as police lives. But racists can only envision police lives mattering or Black lives mattering ― not both. Rewind to 1966 and Black power’s critics. Fast forward to 2016 and the critics of Black Lives Matter. Check out all the political dances in between. Giuliani’s critical dance appears the same as his predecessors, a dance drawn from the same racist imagination. And Giuliani and his predecessors both battled the same dramatic dances against racism that activists termed Black power in 1966 and Black Lives Matter in 2016. The progenitors and defenders of American racism have cleverly redefined Black power and Black Lives Matter. And then, most cleverly of all, defenders of American racism attacked their own redefinitions of Black power and Black Lives Matter. In the same way Giuliani has for years redefined and attacked Black Lives Matter as the antithesis of “respect for the police,” Giuliani’s predecessors redefined and attacked Black power as the antithesis of “law and order” in the 1960s. Republicans (and many Democrats) ran their widely successful 1968 campaigns on the platform of law and order, including Richard Nixon at the top of the Republican ticket. This “law and order” campaign slogan defended police brutalizers ― and both the slogan and the brutality triggered Black power protests that in turn triggered more “law and order” rhetoric and police brutality. Doesn’t that sound familiar? Are not America’s race relations these days dancing in the same history? Recent avowals of “respect for the police” (and #policelivesmatters) have defended police brutalizers — and both the “respect for the police” defenses and the ongoing brutality has triggered more Black Lives Matter protests that in turn has triggered more “respect for the police” defenses and police brutality. In the same way Giuliani has for years redefined and attacked Blacks Lives Matters as anti-police, Giuliani’s predecessors redefined and attacked Black power as anti-White. “Yes, racism is racism — and there is no room in America for racism of any color,” Vice President Hubert Humphrey lectured the NAACP in 1966. Americans have long discarded antiracist activism in this manner. From the beginning of the United States, defenders of American racism have redefined those antiracist ideas of “immediate emancipation” and “equal rights” and “Black power” and “Black lives matter” as somehow anti-White or anti-American and then attacked their own redefinitions to galvanize White opposition to these antiracist reforms. It has worked many times in American history. The opposition to abolitionists, civil rights activists, Black power activists, and Black Lives Matter activists has been widespread and vehement. Giuliani, Johnson, and many others tried to draw from this overused choreography and turn Americans away from the racism that Black power and Black Lives Matter exposed — that Beyoncé exposed on the world’s biggest stage of the year. These opponents tried to get us to dance to a timeworn racist history. But a forever young and livelier antiracist history — Beyoncé’s Black power dance — is readying in “Formation” to dance for Black love and the love of humanity. 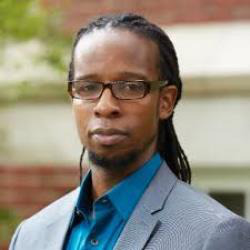 Ibram X. Kendi teaches African-American history at the University of Florida. His second book, Stamped from the Beginning: The Definitive History of Racist Ideas in America, will be published by Nation Books in April. Follow him on Twitter.